The next time you are in the grocery store, take a look at the labels on some of the honey products that you see on shelves. Many people are surprised to find out that it isn’t real bee honey at all. In fact, the majority of products out there are either derived from cloves, some form of chemical mixture that mimics honey or nothing but corn syrup and some flavorings. 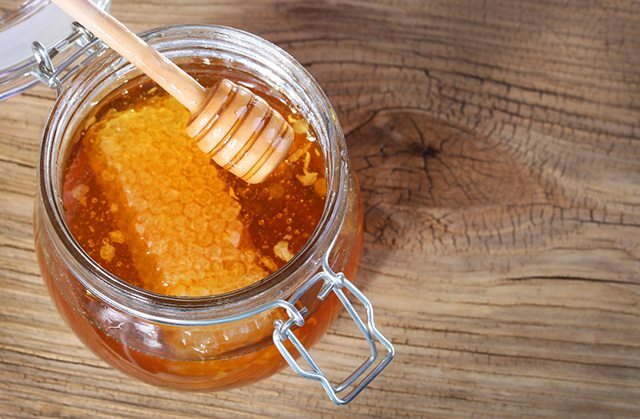 Real honey should have little more than honey in the ingredient list, and chances are that it will also be pretty expensive compared to its imitation counterparts. While this misleading advertising is not necessarily illegal, it most certainly is deceptive, and this does not bode well for those who purchase these products for their supposed natural benefits. Did you know that in order to get a tablespoon of honey, 12 bees need to spend their lives producing that gooey goodness? It’s true. In fact, beekeepers can’t keep up with demand. Granted, there are tens of thousands of bees that are hard at work making enough honey to put into a store-sized container, and you can use your imagination to see how many bees are out there producing the stuff. However, due to mass bee deaths that have been going on over the past few years in different parts of the world, it’s harder than ever to keep the real stuff stocked on shelves. This is why pure honey is so expensive. With increased demand, a shortage of bees to do the work and the amount of time that it takes to produce new bee colonies, it’s not hard to see why companies are interested in tricking consumers into buying fake products. 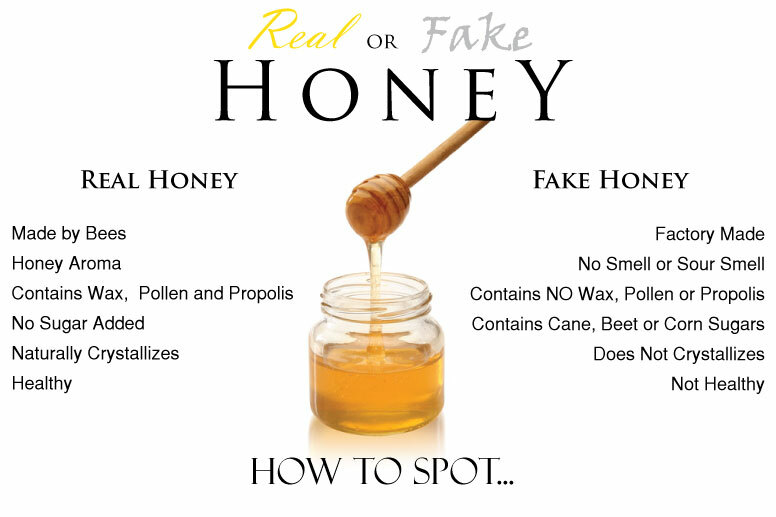 Some estimates indicate that upwards of 75% of honey that is sold in stores is completely fake, even if the bottle may say that it’s 100% pure. Companies have to recover their loses somehow, and their solution was to synthesize the stuff. Unfortunately, they have not been able, or are unwilling to add in the nutrients that pure honey provides. One of the key ingredients in honey is pollen, and it is easily detectable in natural products. This makes sense, since bees spend their days jumping from flower to flower and then bring back residue to their respective hives. One of the most common alternatives to bees is to process cloves. Then, additives are included to give the fake stuff a similar texture, color and taste as the real honey. Unfortunately, while cloves are healthy, they do not produce the same benefits that real honey provides. The bottom line is that if you want real honey, you should either get it from a local source or buy it from an organic store. While many supermarkets do sell real bee honey, your choices are limited and chances are that you will be paying through the nose for a product that is still refined or processed to a certain degree anyway. Take this information to heart, and make sure that you are willing to pay a little extra for the real, 100% pure bee honey. Otherwise, you may end up with something in your cabinet that is little more than sugar or corn syrup and a whole lot of chemicals that have almost no nutritional value whatsoever.